Atlanta Rhythm Section was formed in 1970, intended as the house band for new state-of-the-art recording facility in Doraville, Georgia, and played on various recordings during the first year of the studio, for artists including Al Kooper, B J Thomas and Joe South. 38 Special and Lynyrd Skynyrd also gravitated towards the studio. Meanwhile, the ARS sextet began to record their own material. 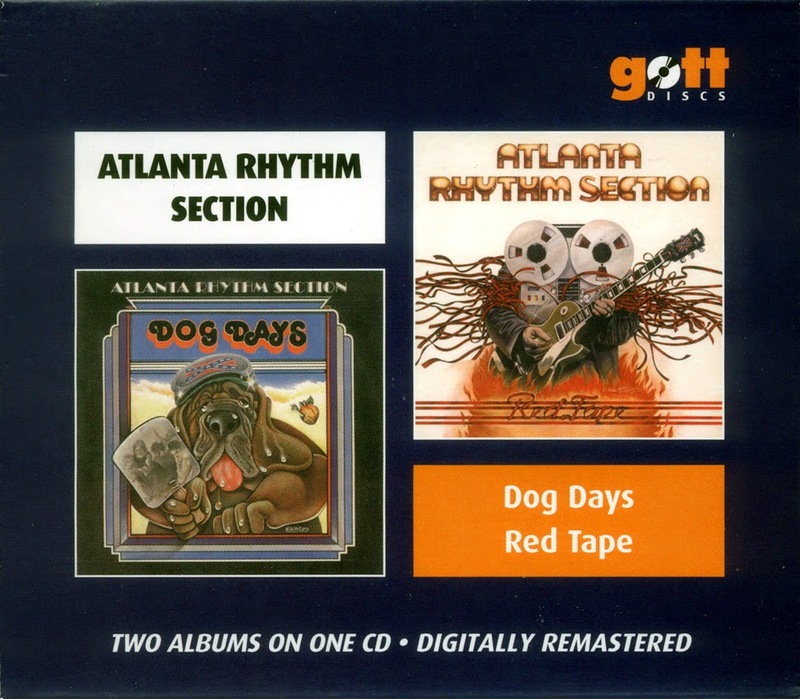 Three albums preceded 'Dog Days': a self-titled debut, 'Back Up Against The Wall' and 'Third Annual Pipe Dream' with increasing song writing maturity evident through these releases. 'Dog Days' was released in 1975 and as with all ten of the studio albums released up to and including 'Quinella' in 1981, each one offered an engaging balance and blend of up-tempo songs and reflective ballads. 'Dog Days' contains six of the former and two of the latter, all were self-composed and crystallised the bands sound, opener 'Crazy' beginning with the lyric "Wow! Isn't the music strange – it's over-arranged but so untogether..." showing that they had a great sense of humour and that they would – and did – stretch out and jam (as was the case with most of their contemporary Southern band cousins). Here, it was following track, the eight minute 'Boogie Smoogie' that begins as a slow blues that opens out after three minutes into a joyous romp with sensational contributions from both lead guitarists. Although comparisons can at times be made with these other Southern bands, ARS have always provided a broader musical palette and their incredible harmony vocals were also something of a trademark. On the slower material, such as 'Silent Treatment' here and 'Beautiful Dreamers' on 'Red Tape' one may begin to note some similarities with the harmonies and approach of bands like America, Hall & Oates and Toto...and this comes even more to prominence on 'Quinella'. As it happens, 'Beautiful Dreamers' is even redolent stylistically of some of ELO's slow ballads! 'Cuban Crisis' is also a must hear, with its highly amusing lyric and latino rhythms. 'Red Tape' appeared the following year, an album with a greater rock and blues emphasis and with a fantastic, new, nine minute version of 'Another Man's Woman' (a song they had included on the debut, but honed to perfection via many live performances). Other favourites here include the short but oh-so-sweet 'Shanghied', the amusing 'Police! Police!' with its migrating police car siren at the start and the glorious mid-tempo song 'Oh What A Feeling' that has some of the most sensational harmonies of the three albums discussed here. 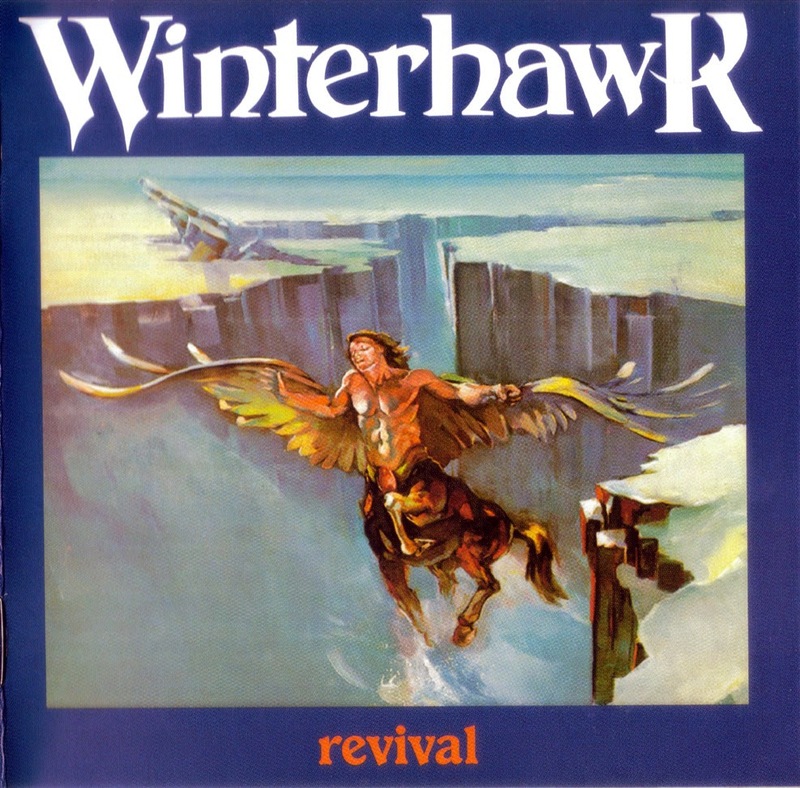 Winterhawk was a Chicago area band that existed between like 1977 and 1983 before leaving us all behind. This is the sole record that they released in 1982 on their own small label. 2000 copies were pressed in two bunches but 30% of the first batch were crap. It is pretty rare today and it has a lot of great material. The band was a 3 piece and you can hear Triumph (the high pitch vocal, more than the guitar work), the harder edged Styx material, Richie Blackmore like guitar in this great hard rock piece of art. The record starts with a short instrumental piece before launching into the hard rocking Sanctuary, which has a great riff. 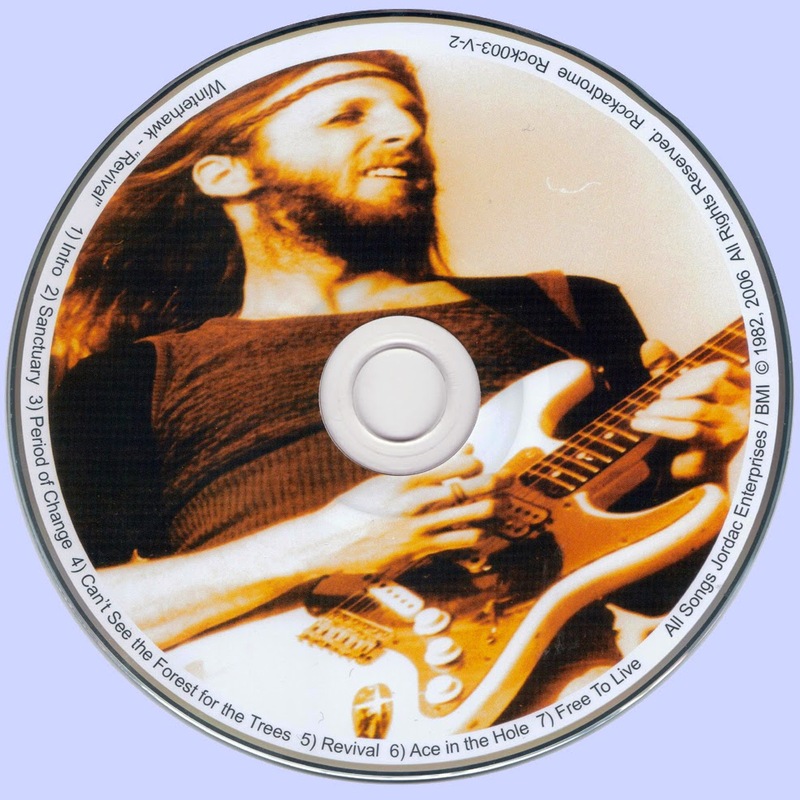 Period of Change has some amazing guitar playing and a lot of different moods. At this point I would have to consider the band a progressive rock band, and then Can’t see the Forest from the Trees kicks in and is a foot stomping bluesy track and Jordan lets it rip! The title track, Revival, is next and is a cool melodic rock track. Ace in the Hole is not sung by vocalist/guitarist Jordan Macarus but the bass player Doug Brown. This features some ripping guitar at the end and again is quite a complex arrangement. The CD ends with the long progressive rock track with some very Richie Blackmore like guitar runs that only miss Jon Lord on the organ., Free to live clocking in at 9½ minutes. A great track and pretty cool record.